Click the button below to add the BOLT 2 Surface Mount 18 LED DUAL color Lights SoundOFF Signal 2 pack to your wish list. 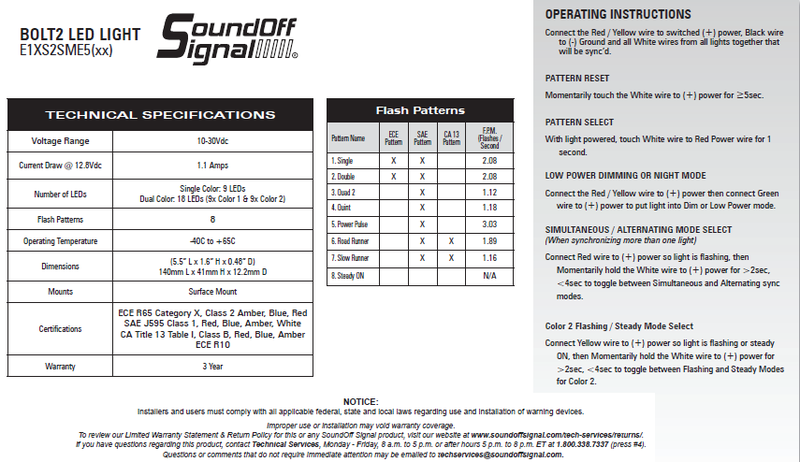 The SoundOff Signal Bolt 2 Surface Mount Light DUAL Color Lights are 18 LED, measure 5.5" x 1.6" x less then half-inch thick. Sign up for Covert NEWS! Get New Product Info & Special DEALS!